Santa Claus is an Arctic Wolf Shifter, and the mantle has always passed down to his sons. But this Santa didn't have any boys, he has 4 girls! His eldest daughter is supposed to marry the son of the pack's Beta wolf, Rock. But she has refused. Lizzy wants to marry for love, not pack standing. Lizzie is destined to be the next Mrs. Claus she just needs to find her Santa. However, he doesn't seem to be showing up locally, so her father has arranged a marriage between her one of her best friends. She doesn't love him but she doesn't have much choice as the magic hasn't provided a Mr. Claus. The European packs have been having issues so they set off to figure out what needs to be done. Lizzie tags along because she feels like they might need her but she's hoping to find her Mr. Claus. Something is pulling her to L.A. even her father is feeling the need to travel to a place where Arctic wolves don't live. Will Lizzie find her Santa on this adventure? 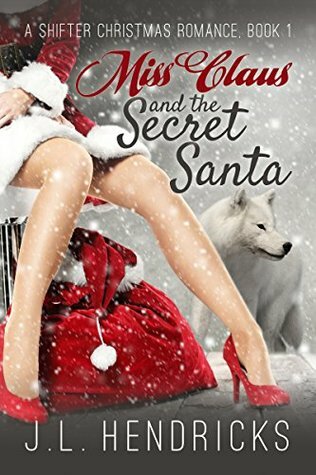 Miss Claus is a sweet holiday romance putting a unique twist on who is Santa. In this story, the Claus's just happen to be a pack of Arctic werewolves who have Christmas magic. I enjoyed the sweet clean holiday romance it had just the right amount of mystery. I liked the characters they are fun, easy to connect with you can't help cheering Lizzie along on her path for a happy ever after. This is my first book by the authors. I enjoyed the story-telling and look forward to checking other books out by them. Highly recommend if you are looking for a clean magical romance.